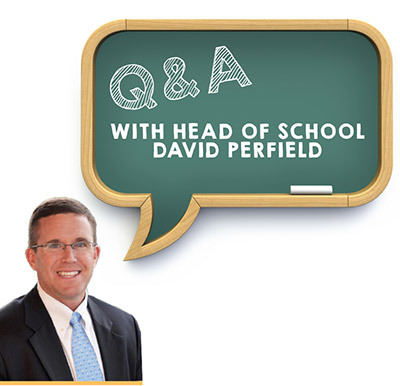 Welcome New Head of School David Perfield! On July 1, 2018, David Perfield officially begins his tenure as the 11th Head of Oldfields School. Thanks to an extensive interview process and numerous visits to campus, the faculty and staff already have the pleasure of knowing him, and we wanted to give you the same opportunity. After reading his insightful answers to our questions, we know you will share our enthusiasm as we welcome David, Lisa, Anna, and Lexi into the Oldfields family! David, can you share with us your background and experience working in the field of education? In 2000, I graduated from St. Lawrence University with a B.S. in Biology and then earned a M.Ed. in General Studies. Following St. Lawrence, I was offered a teaching and coaching opportunity at New Hampton School in New Hampton, NH. In 2001, I was teaching two sections of biology, served as an advisor, dorm parent, and coached football and wrestling. In 2004, I was named Head Football Coach and served in that role for four years. Following five years in the classroom, I transitioned to the role of Assistant Director of Admissions for two years. 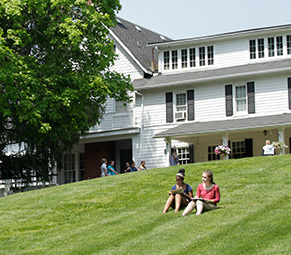 After participating as faculty liaison for the New Hampton Head of School search and as a Sub-Committee Chair for the Strategic Planning Committee, both pivotal experiences for me, I moved to the Development Office as a Major Gifts Officer. After three years of traveling the globe, cultivating relationships with hundreds of constituents, and being promoted to Associate Director of Development, I became the Director of Development at Cardigan Mountain School in Canaan, NH, in 2011. After 10 amazing years at New Hampton, marrying Lisa in 2009, and starting a family (Anna was born in May 2011), I began my journey at Cardigan where I have been responsible for a $50M Capital Campaign (scheduled to end in 2020 with $45 million raised thus far), managing a talented and committed team of alumni and development professionals, establishing a culture of philanthropy, and partnering with colleagues and key stakeholders to create a very ambitious and meaningful strategic plan. Most recently at Cardigan, I held the position of Assistant Head of School, where I continued my responsibility for external operations via oversight of the school's advancement offices, and equally important, established a close link to the internal operations of the school. At the end of the day, it's the relationships I have with students and colleagues that make my work as an educator worthwhile (and personally rewarding). Besides the daily responsibilities of leading Cardigan's Development Office and working with Admissions, Communications, and the Business Office to support and advance the educational experience, I have benefited greatly from working alongside two extraordinary Heads of School and a Board of Trustees that is unified and dedicated. I look forward to the synergy that will result from the expertise of the tremendous faculty and staff that exists at Oldfields combined with my experience in the boarding school world. We are going to make a great team! Upon hearing of the opportunity, what motivated you to pursue the position of Oldfields' Head of School? As Lisa and I did our research and spoke with counterparts and friends who were familiar with Oldfields, we continued to hear positive feedback about the culture and community at Oldfields. There are many unique characteristics about Oldfields that excite us. While interviewing on campus, I met with several Oldfields students. It was really important for me to honestly assess how well I connected with the girls. Needless to say, those conversations, and the feedback I was able to take from them, were so important as we considered "fit" and what it would be like to join the Oldfields community. The people at Oldfields made such a positive impression on Lisa and me that we continue to marvel at our good fortune! As we thought about the potential move, we continued to talk about the School's traditions and purpose—and how thoughtful the community is to ensure the mission is vibrant and relative. 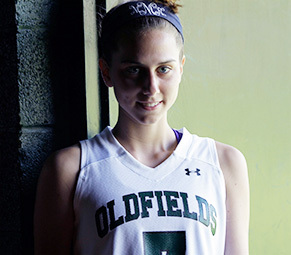 Oldfields School is a warm, welcoming, and caring community that is student-centered and accepts girls for who they are. As we dream about what it will be like for Anna and Lexi, we're excited about the School's potential, and all of the opportunities for girls to explore and grow! With two young daughters, Lisa and I thought this opportunity would be great for our family. Our interest and enthusiasm gained more energy once we learned more about living in the Mid-Atlantic region of the country and being in proximity to some really intriguing attractions and major cities. We are excited that July 1 has finally arrived! What do you see as Oldfields' biggest strength? 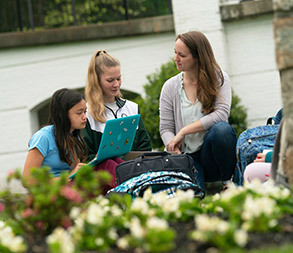 The School's reputation for meeting girls where they are and providing a learning environment where they can challenge themselves to grow academically, artistically, athletically, and socially—while being supported by a caring group of faculty and staff who are committed to the School's mission and "Each Girl's Success." I also have a sense of the deep ties that each of the constituency groups have...alumnae, parents of alumnae, and trustees. As we invest the time and resources to cultivate and steward those relationships, the School can, and will, grow in tremendous ways. What is the most important thing that you would like every Oldfields student to know about you? I love what I "get to" do every day. I cannot imagine what life would be like if I didn't work at a school and have the opportunity to interact with students every day. I am a teacher at heart. I take a lot of pride in being an educator, mentor, and role model. I know what kind of impact I can have on a student's life because I am aware of the many teachers, coaches, and colleagues who have profoundly impacted my personal and professional life. I cherish those interactions and relationships. I want to know their story. I want to learn from them. And, I want to laugh with them... and will enjoy those special moments when they laugh at me. It goes without saying that I love being a dad to Anna and Lexi—and feel very fortunate to have a wonderful partner like Lisa by my side. That my family can be such as integral part of my career is something I am thankful for every day. I strive for mental, physical, and emotional balance every day. I put a strong emphasis on priorities and I want to impact people's lives by modeling healthy behavior. I pay attention—by listening, being perceptive, and aware. I love to work hard and play hard. There really is time for both. I am competitive, have developed a solid and consistent work ethic, and I set a high standard for myself and others. 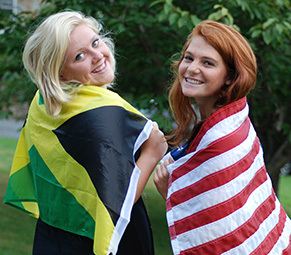 What Oldfields traditions are you looking forward to learning more about? I am eager to learn more about the rivalry between Greens and Whites. And I'm sure there is deep significance with white dresses, but I am more interested to learn why girls walk down Graduation Hill in bare feet. I am also interested to learn more about the Equestrian Program since I've been told we are moving to "horse country." 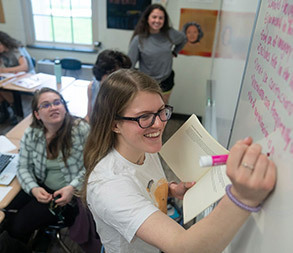 Not only am I interested in creating strategies to capitalize on a specific affinity group for the admissions effort, but I'd also like to support Anna and Lexi's interest in "the horses" and their potential journey with this unique opportunity. How would you describe your educational philosophy? I have come to realize that being an educator, especially in the unique world of independent schools, is a way of life rather than an everyday occupation. The fulfillment I receive stems naturally from the relationships I have created with students and colleagues. Moreover, those relationships have generated lifelong experiences that continue to shape my educational philosophy. In the ideal school environment, the mission drives how students, teachers, administrators, and other community members steward the culture of the school. Creating opportunities to develop trusting relationships that rely on values or guiding principles—such as compassion, kindness, courage, and respect—will allow the community to maintain a healthy living and learning environment. And, most important, students develop a steady balance—academically, artistically, athletically, and socially— ultimately strengthening their unique set of skills and preparing them for life's journey. My educational philosophy is built from first-hand experiences with pedagogy that promotes awareness, incorporates relevance, and emphasizes a skill set that prepares students for college and a life of engaged citizenship. Meeting demands for competent written, verbal, and technological skills enhances the student experience and strengthens their skill set. And, the breadth and depth of their education expands when they have the opportunity to learn through service and experiential education, while being mindful of how their presence impacts local and global communities. In order to deliver an education that ultimately produces confident, competent, and dynamic leaders, a school community must focus on its culture and climate, strive towards ambitious goals, and prioritize its human and financial resources to deliver a high-quality program. I believe in setting a high standard. Being intentional and making decisions to benefit the school eliminates personal egos, preconceived agendas, and negativity. Creating a culture where integrity, transparency, and fairness are embraced and appreciated strengthens the cohesiveness of a team. As a leader, these are the practices I convey and congratulate each and every day. Through both successes and mistakes, I have learned many valuable lessons about leadership. I admire leaders who show compassion when an outcome is different than expected, and who find a way to provide strength and support; I admire leaders who surround themselves with talented people and encourage group decisions; I admire leaders who inspire and strengthen work ethic; I admire leaders who make tough, yet meaningful decisions; I admire leaders who are respectful when offering feedback; I admire leaders who accept feedback and welcome criticism; I admire leaders who create a culture where responsibilities and leadership are delegated; I admire leaders who allow colleagues to explore new ideas and make adjustments throughout a process; and I admire leaders who model balance in their personal and professional lives. As a competitive athlete and someone who enjoys all the intricacies of the team concept, I will embrace a challenge and work toward a goal. As a leader of many successful teams (athletically and professionally), I will utilize strengths, identify with those who are involved, and will provide an earnest approach to the success of each effort. I believe it is essential for a Head of School to integrate his or her guiding principles throughout the school community. Being able to capitalize on the people who deliver the program, the program itself, and the environment in which it's delivered enhances culture and makes a school strong. Are your girls ready for dozens of big sisters? Definitely. I routinely ask Anna and Lexi what they're most excited about—and every time they say, "big sisters and horses!" Most of all, I hope the girls at Oldfields are ready for Anna and Lexi! At no other school will so many caring individuals be focused on a young woman’s success as a student, a leader, an athlete, an artist, or an adventurer! Complete the Oldfields School Inquiry Form to recieve an information packet. 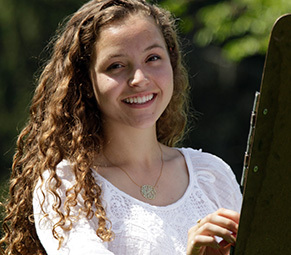 From our unique academic schedule to our one-of-a kind May Program, there are benefits to OS students that cannot be found elsewhere. High standards, low pressure, and a supportive environment result in confident, successful young women. Experience a different approach to coaching and team building, one where sportsmanship matters and there is a place on the team for everyone. In the spotlight or behind the scenes, in the studio or behind the camera, find your creative outlet. 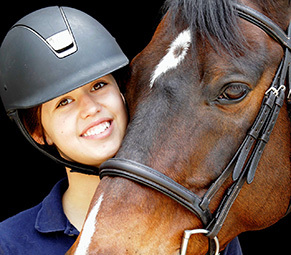 Oldfields’ Riding Program is where learning moves out of the classroom and into the barn. 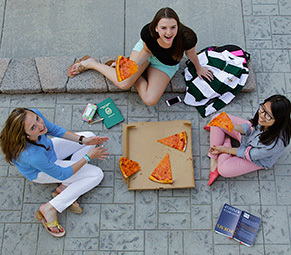 Students’ days are intentionally planned to nurture mind, body, and spirit – and have fun! 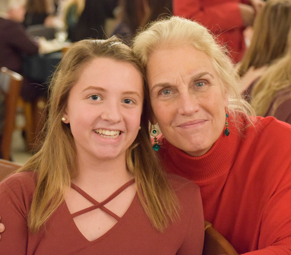 Each new experience and every time-honored tradition we share with Oldfields girls is made possible by the gifts you send.